John Hiatt released yet another studio album at the beginning of this month entitled Dirty Jeans and Mudslide Hymns on New West Records. The several Grammy awards nominated artist has been creating his own brand of Americana folk bluegrass tinged new wave since the 1970s. Although he has had many a critical success, Hiatt has only broken through to the Top 40 charts a few times. However, the songs he has written have received the royal treatment, being covered by true greats such as Willie Nelson, Bob Dylan, and Eric Clapton. 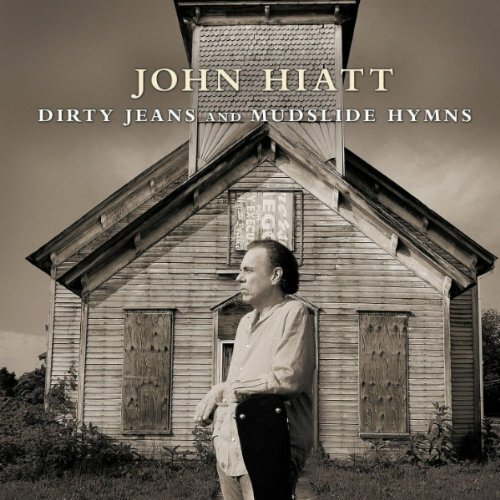 Dirty Jeans is the follow up to 2010’s The Open Road and the twentieth full release Hiatt has penned so far. The best tracks on the album are gritty down south numbers dripping with heartfelt emotion and hard truths. And then there’s the bad. All of the love songs are just terrible. The excellent storytelling turns into unnecessary romantic drivel. Track eight “Train to Birmingham” is a lonely ride during which “drinkin whiskey for the pain” is common place. The second to last is “Adios to California” a song that would fit on any good road trip playlist. Ending the album is “When New York Had Her Heart Broke,” a very well meaning 9/11 tribute. The story is a familiar American tragedy, yet it is told in such a sappy manner that it loses any real impact it could have had. John Hiatt will be on tour with his backing band The Combo comprised of Patrick O’Hearn on bass, guitarist Doug Lancio, and Kenneth Blevins playing drums along with some vocals. Big Head Todd and the Monsters will be joining Hiatt on select tour dates.